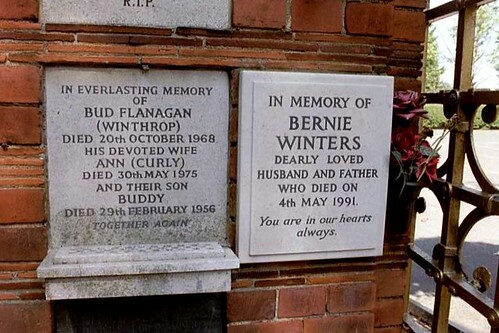 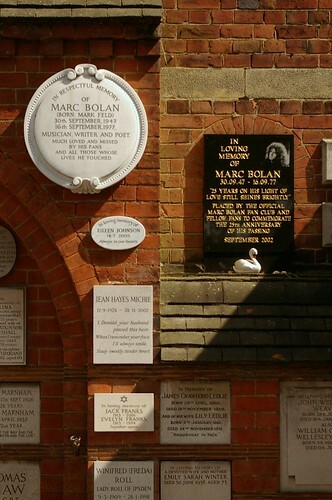 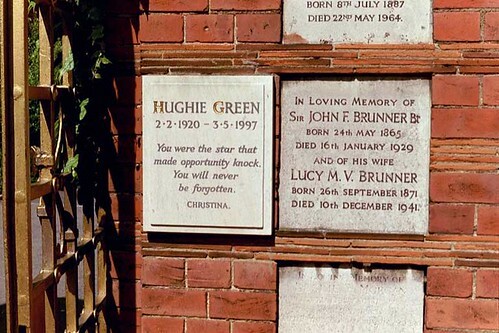 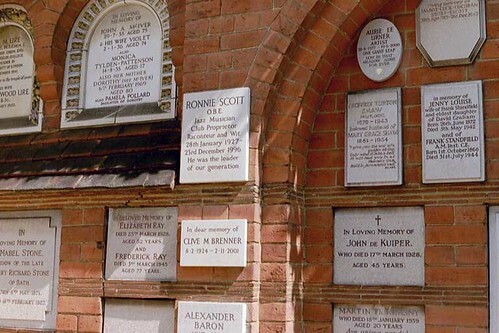 Golders Green isn't a cemetery. 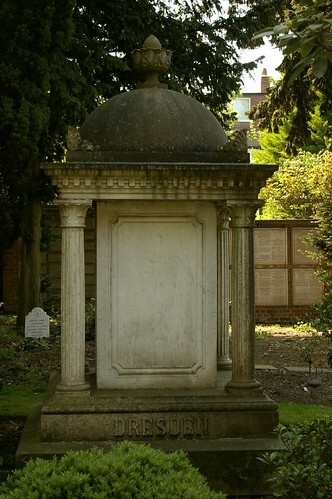 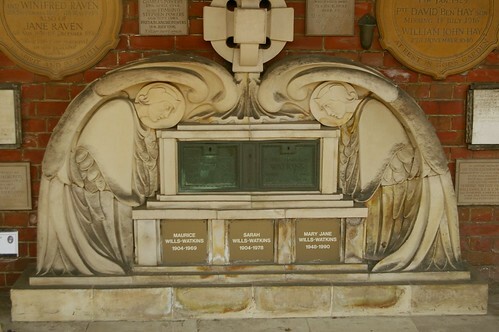 It's London's first crematorium, opened in 1902, and as such, has very few monuments. 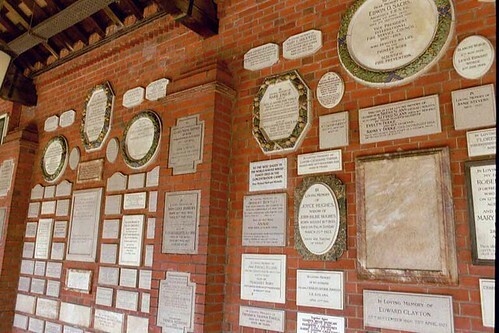 Those who are commemorated here mostly have small plaques attached to the walls of the cloisters, or more lately, to plants in the grounds. 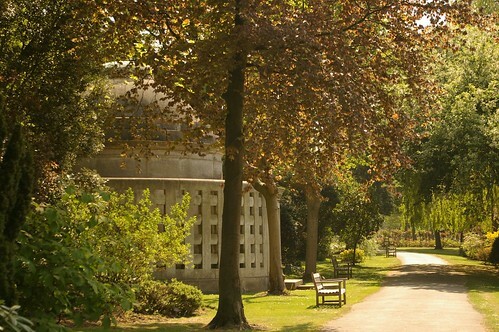 The grounds themselves are beautifully kept gardens which surround the central lawn on which ashes can be scattered. 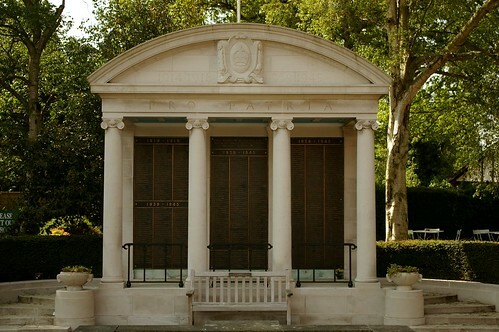 It's worth a look for several features: the Philipson mausoleum by Lutyens, which is beautifully modern but oddly reminiscent of a municipal car park; Peagram's disturbing bronze "Into the Silent Land"; a temple-like war memorial with the names of service personnel cremated here; the names of some of the famous which can be spotted amongst the plaques. 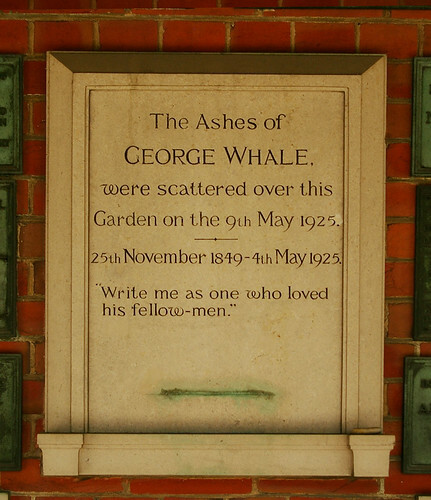 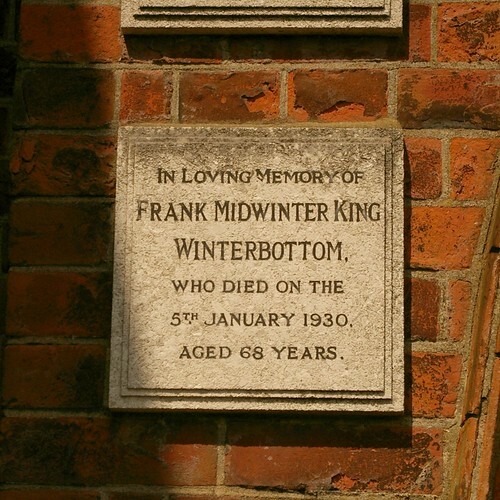 Cremation had been advocated at various times in the nineteenth century as another solution to the crisis facing London's church burial grounds. 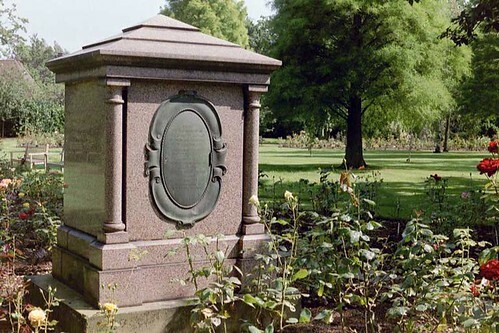 Initial support was less enthusiastic than for the new cemeteries, but by 1874, no less a person than the Queen's surgeon, Sir Henry Thompson, founded the Cremation Society, intending to build Britain's first crematorium at the Great Northern Cemetery at Southgate. 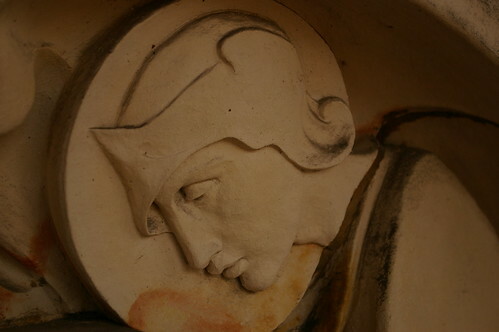 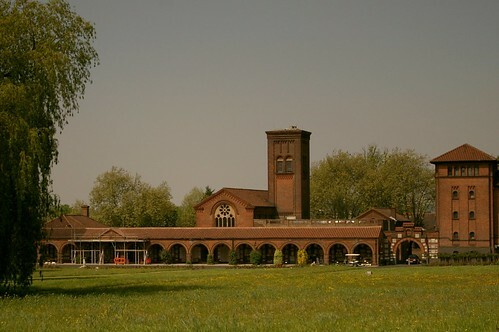 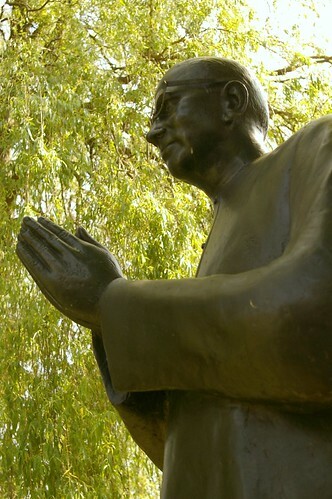 The Bishop of Rochester, however, refused to allow cremation to take place on consecrated ground, and the crematorium was instead built at Brookwood. 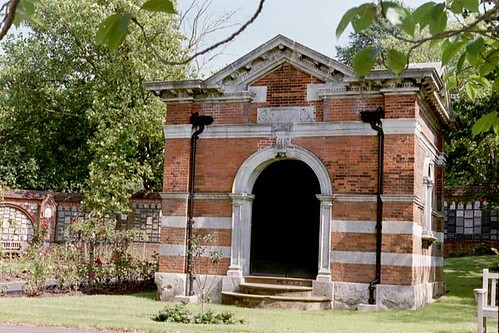 London's first crematorium did not open until 1902. 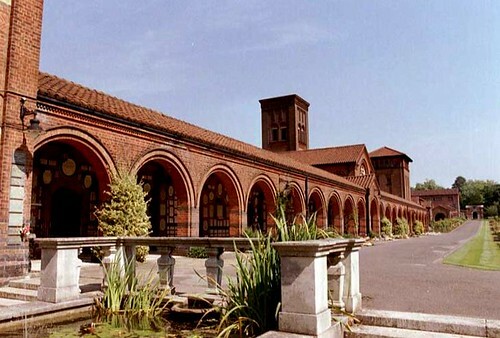 The range of red brick buildings that exist today were designed by Ernest George, who also built the Royal College of Music. 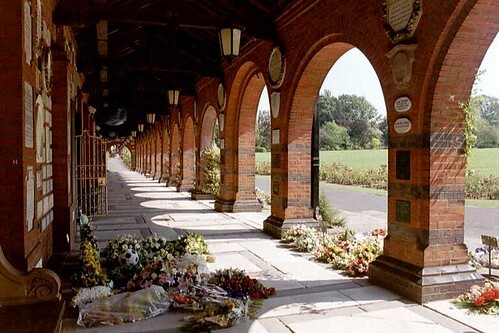 The 240 foot cloister and series of attached buildings are much more attractive than the municipal functionality of so many other crematoria. 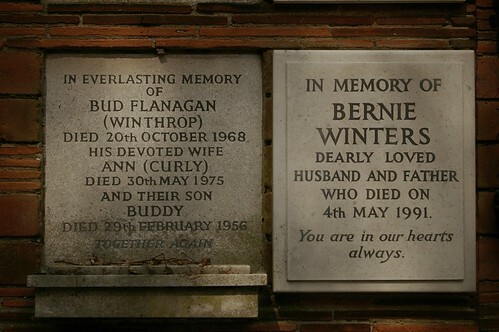 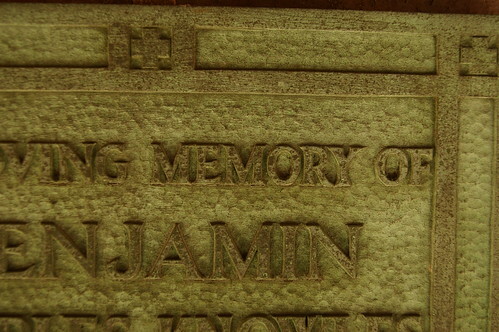 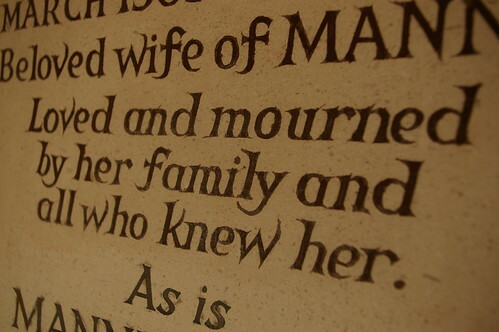 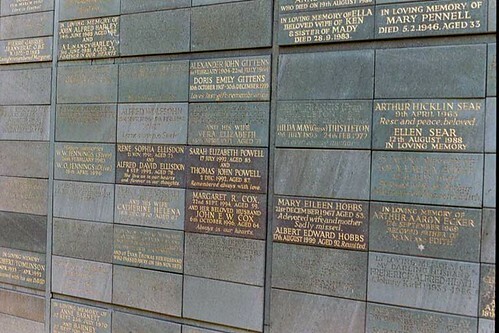 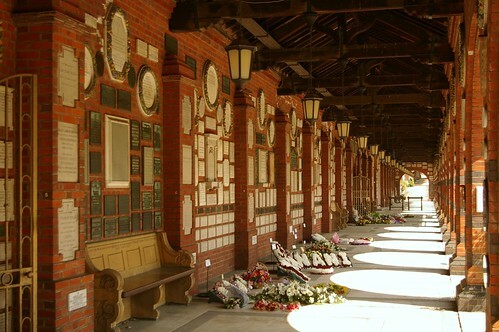 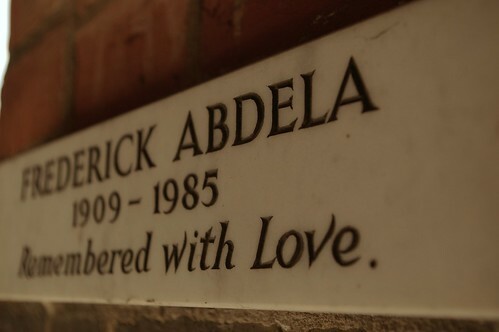 The walls are covered with hundreds of memorial plaques in ceramic or stone. 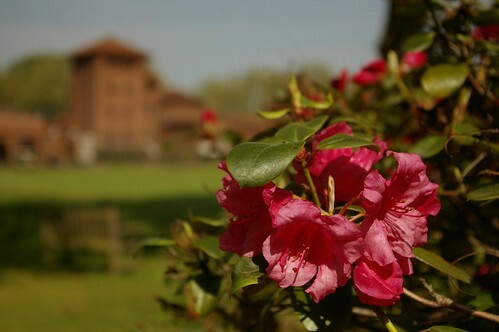 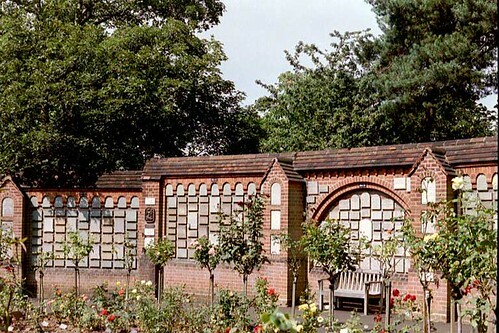 Surrounding this complex are some of the most beautiful memorial gardens anywhere in Britain. 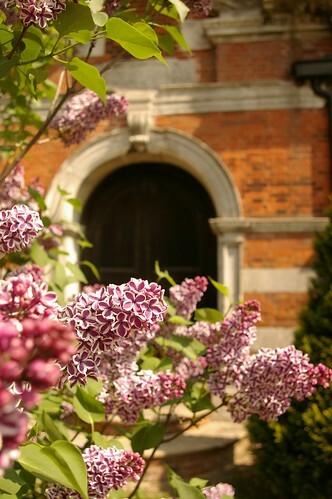 The central lawn, where ashes may be scattered, is covered in crocuses in Spring. 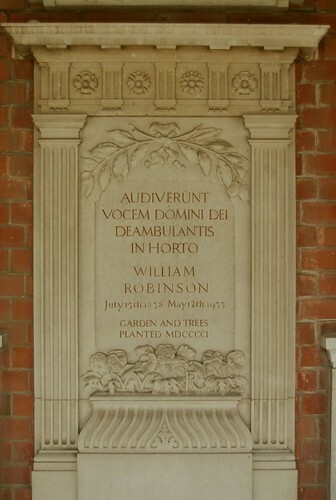 On the walls that surround the garden are more plaques, terracotta, ceramic, stone and slate: no nasty Council-made faux bronze here. 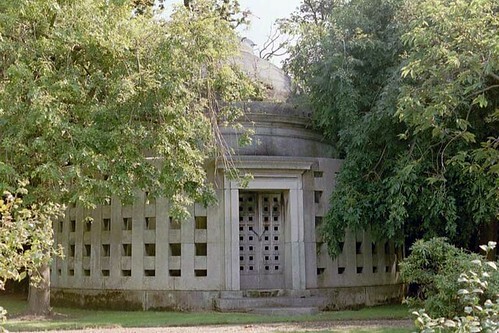 Amongst the trees are just two mausolea: the Smith, which looks like a Wrenaissance church, and Lutyens' remarkable memorial for the Philipson family, a round lattice structure with a domed roof. 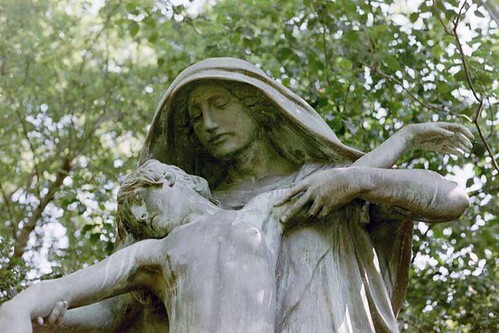 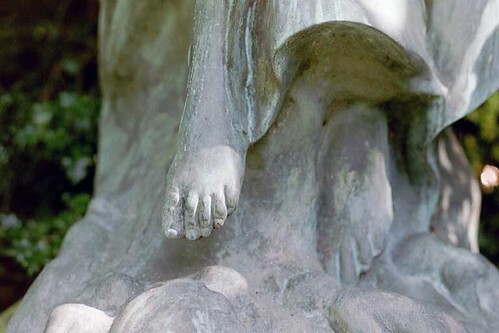 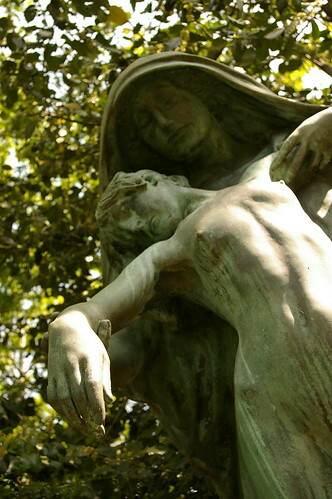 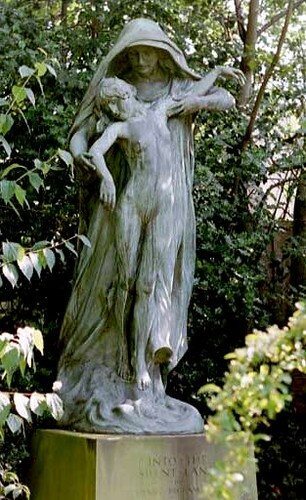 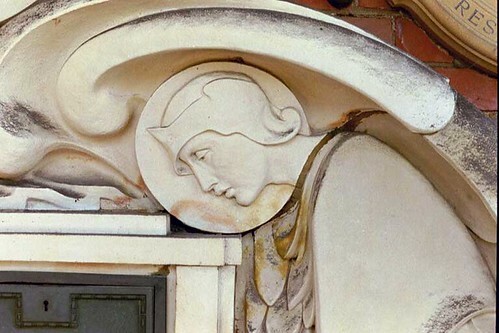 Beside this, a hooded bronze figure lifts a child heavenward: this is Henry Pegram's sculpture 'In the Silent Lane'. 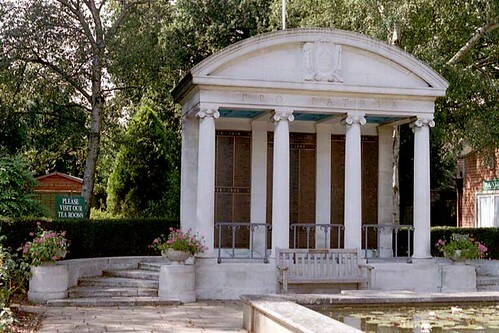 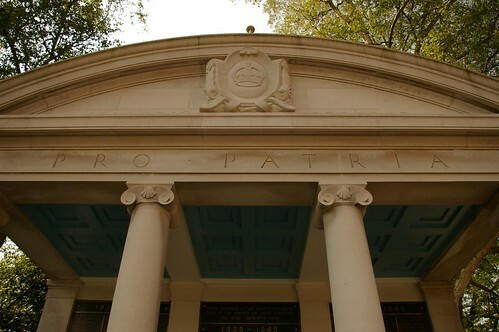 At the other end of the site is a war memorial in the shape of a temple, inscribed 'Pro Patria'. 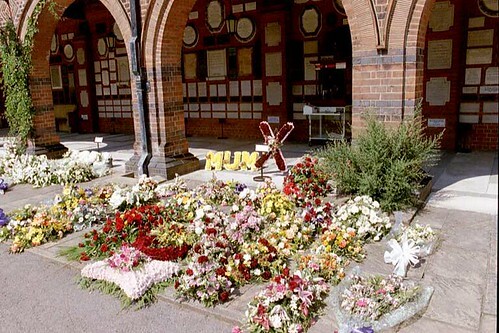 It is altogether a beautiful site, and one that should stand as an example of what a memorial garden can, and should be.